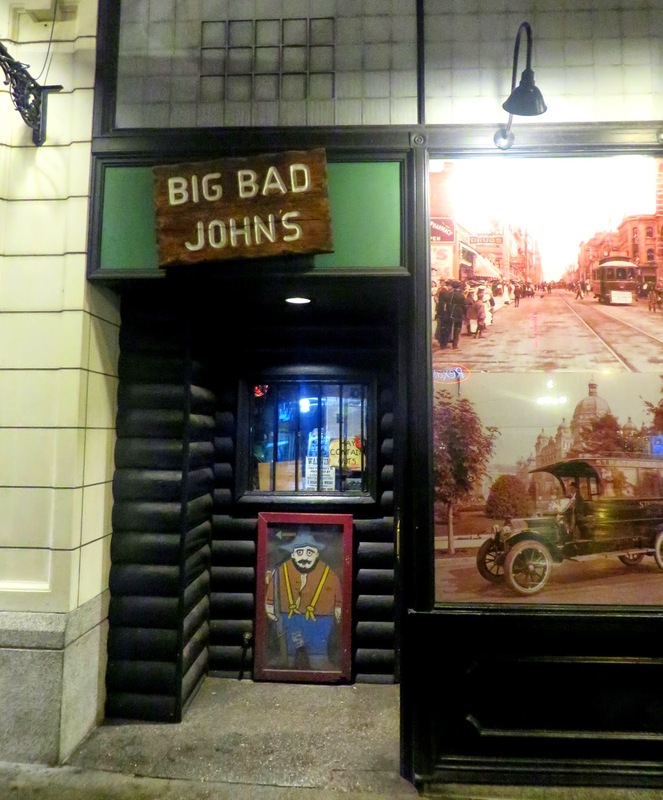 What does one say about Big Bad John's? One thing that we probably should not say too much about -- for anyone who might be still to visit for the first time -- is that every table has a potential surprise. 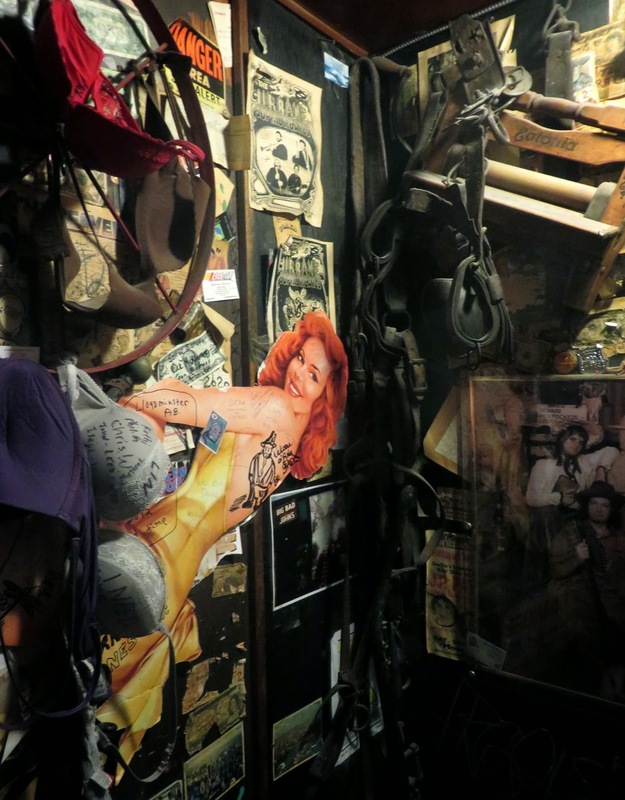 But you won't be thinking about that when you enter -- you'll be staring at the amassed notes, bills, IDs, bras, and collected gallimaufry of hillbilly bric-a-brac that covers virtually every inch of the place (including the floors if you count peanut shells). 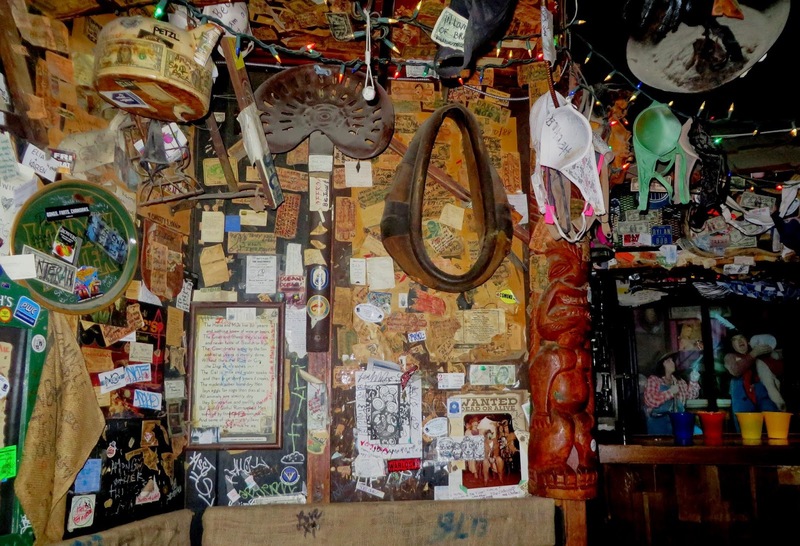 BBJ's has been like this since 1962, when the owner figured a joint that looked like it was run by Li'l Abner's trashier cousins would seduce visitors up from the Seattle World's Fair. The manufactured dive is actually the lounge of the Strathcona Hotel, and started its life as the swanky Strathcona Lounge, the first post-prohibition cocktail lounge in British Columbia. What it is now, well, you really just have to experience. And if you haven't yet done that, uh, just take a look at the pictures. Some folks criticize the place as not "authentic," which seems to make about as much sense as using that argument against Disneyland. Others say it is not a real "dive," which just make me curious about their definition of the term. They've been selling cheap booze in a shabby setting for over 50 years. 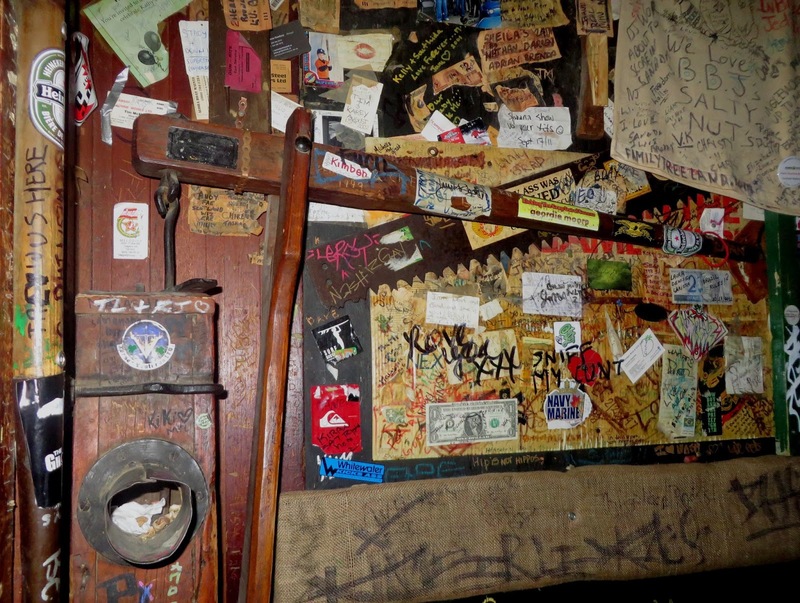 Whatever it is, if you like dive bars or just joints with a lot of character, it is the can't-miss bar stop in Victoria. Favorite yelp review opening line: "I have a hard time being objective when discussing BBJ because every time I go there, they kick me out!"